Pimento Cheese spread is a southern comfort food. It is as basic as peanut butter. 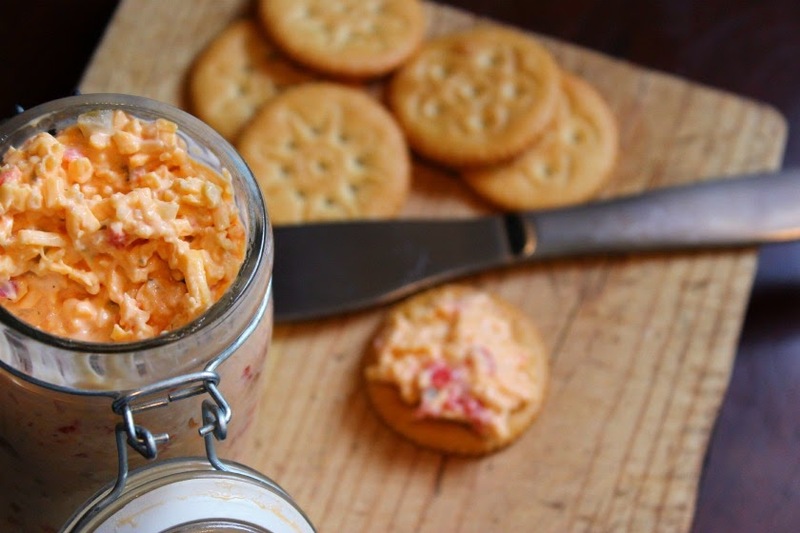 Pimento cheese shows up at tailgate parties, picnics, bridge clubs, church events, wedding feasts and funeral gatherings. There are hundreds of variations for this spread. Maybe y'all may be lucky enough to have a recipe handed down from past generations. It is great to serve on crackers or celery, on a hamburger, chili dog or in a grilled cheese sandwich. The traditional pimento cheese sandwich is served between two slices of white bread (crusts removed). The sandwich is an essential part of the Master's Golf Tournament in Augusta, GA. Wrapped in waxed paper, these sandwiches sell for $1.25 at the food tents at the Tournament. 2 cups grated sharp Cheddar Cheese 1 cup finely drained chopped pimentos, or drained roasted red peppers 1/2 cup mayonnaise 1 Tbsp. grated onion 1 Tbsp. chopped dill pickle 1 tsp. yellow mustard Pinch of cayenne pepper Pinch of celery salt Combine all ingredients in a medium bowl until well combined. Chill until ready to serve. Spread two slices of hearty rye bread with about 1/2 tsp. reserved bacon drippings for a hint of bacon flavor. Of course, two slices of bacon would be great on this sandwich! Grill quickly on each side until brown. Finish in a moderate oven until cheese is fully melted. Serves 12 as a dip and about 4 sandwiches. 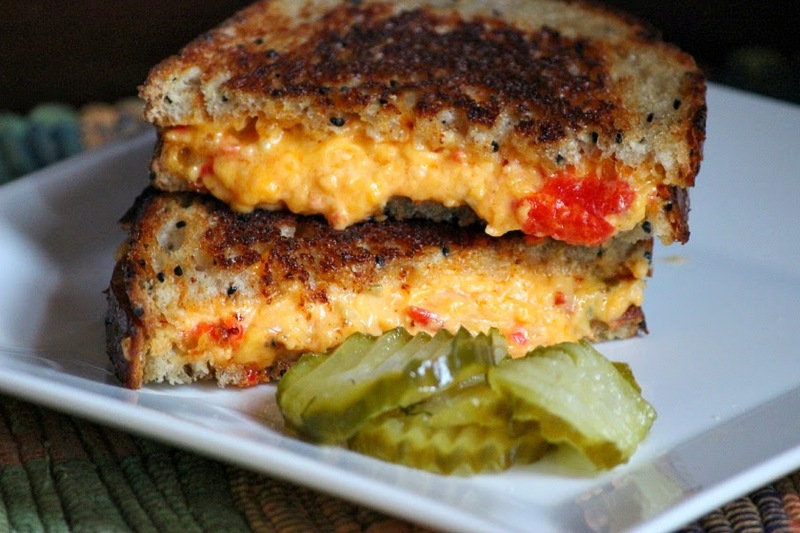 I've never eaten pimento cheese, but your grilled cheese has me sold! YUM!